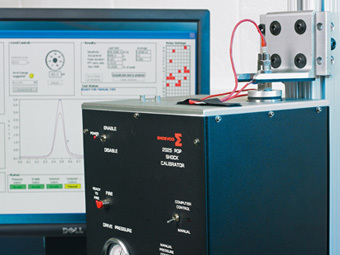 CVMSL customers benefit from the latest Endevco accelerometer calibration system, designed to automate transducer calibration, improve overall calibration accuracy, and enhance compliance. Test configuration and test data are stored in a database with extensive cross-references to enhance traceability and record keeping. User-customizable reports are generated giving sensitivity figures over the entire frequency range 2Hz to 10kHz, percentage and dB deviation in both tabular and graphical format. CVMSL can also carry out shock calibration of accelerometers to 10,000g. 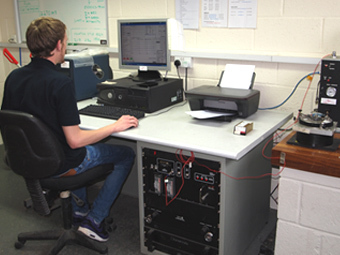 We can calibrate ANY make of accelerometer and offer technical advice and spare parts from our Service Centre in Melbourn, Hertfordshire, UK. We will save you labour costs associated with the upkeep of calibration records, engineering time in calibration procedures and guarantee your accelerometer is returned to you, UKAS calibrated and ready for use. NOTE: Accelerometers can only be calibrated at the CVMSL Service Centre in Melbourn, UK, because they have to be kept in a temperature-controlled environment for at least 24 hours before calibration can commence.